Investors-Home is receiving $1250.00 in rental income for over a year, excellent renters. Investors this is ideal to get steady cash flow This is a wonderful and affordable 6 year old home. 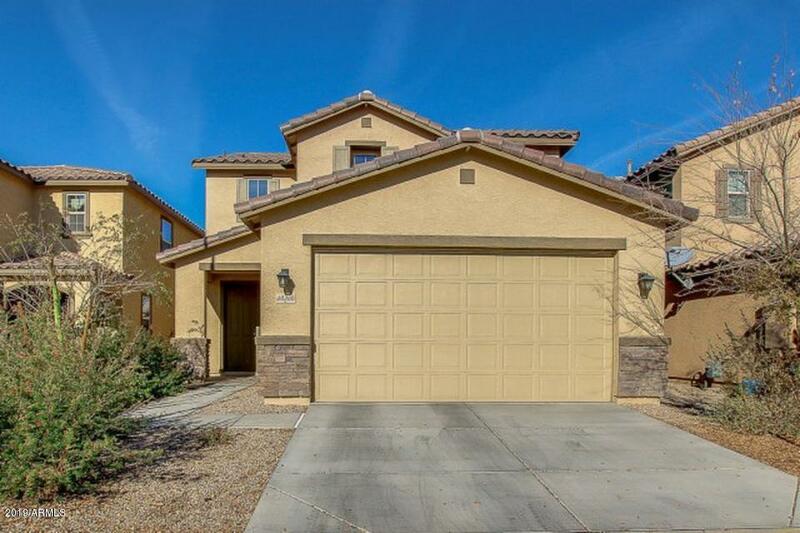 It is a charming 3 bed, 2.5 bath home in the Desert Passage community. The interior is immaculate and bright with plenty of sunshine. As you walk into a great room with a 9ft ceiling, it has space for large family gatherings. Then flowing into a large eat-in kitchen with a wrap around breakfast bar. The sliding doors leads out to an open view patio and back yard with plenty of space to grow and have fun in.Upstairs the master bedroom has a walk-in closet and the generous master bath is complete with walk in shower. There is a Den/loft which can be an office space or a play room for kids.